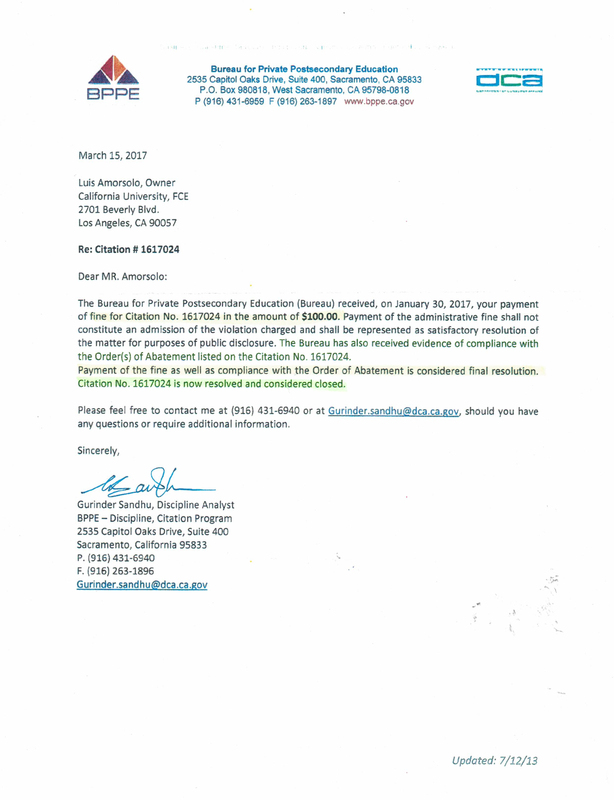 The State of California Bureau for Private Postsecondary Education (BPPE) has officially resolved and closed Citation # 1617024. All individual bloggers, organizations and Internet search engines are requested to DELETE from their archives all libelous or false statements against California University FCE. Violators will be prosecuted without further notice. To support the needs of the National Curriculum Evaluation Services (NCES), the International Center for Academic Evaluation and Accreditation (ICAE) as well as the UNESCO, for accredited Professional Evaluators (PE) that evaluate the curricula and other academic programs of state-approved universities, colleges and schools that apply for regional or national accreditation. To operate primarily as an Evaluation & Assessment institution of higher education within the State of California Educational System. To give the children in the United States the best head start in preschool, elementary education through high school. To insure that all immigrants who are educated in their country of origin are given the best tools for faster integration into the United States of America society. To help you obtain the United States equivalency degree evaluation of all of your studies and specialized work experience per the USCIS Guidelines and the North American Free Trade Agreement (NAFTA) for Canadian and Mexican citizens. To help you work towards the completion of the needed requirements to obtain a Bachelor of Science or Bachelor of Arts degree per the guidelines set forth by the United States Citizenship and Immigration Services. To give you the knowledge that three years of specialized work experience is equal to one year full-time university credits for immigration and employment purposes only. The United States Department of Education listed California University FCE as a resource of free education information in the Education Resource Organizations Directory with Unique ID 7499. Its listing, however, does not imply recognition or endorsement of our institution. For free education information, please click "Free Online Classes" to select any course. You will earn Continuing Education Units (CEU certificates) or a degree of equivalent from the institutions that offer these courses. In 2004, California University FCE registered a voluntary private school affidavit as a legitimate credential evaluation and assessment institution to the following California Government offices; Its listing, however, does not imply recognition or endorsement of our institution. Curriculum Evaluation and Assessment for Accreditation. Graduating Students’ Courses of Study and Credit Evaluation. Some large and regionally accredited U.S. universities outsource the course evaluation and assessment of their candidates for graduation to California University FCE. CUFCE will determine if the candidates for graduation have complied with the requirements of the curriculum such as the Areas of Study, the prerequisite compliance of every course in the lower and higher level, as well as the credit requirements of a particular degree. Although a baccalaureate-degree candidate for graduation has completed the minimum grand total of 120.0 semester units, he may not have complied with the requirements of the Areas of Study of a degree. UNESCO NGO BRANCH – CHEA International Quality Group. – CaliforniaUniversity FCE is now recognized by the United Nations NGO Branch as an Evaluator of curriculum and academic programs. EUROPEAN COMMISSION – CORDIS- Executive Branch of the European government. – California University FCE is accepted as one of its partners in higher education. AIEA – Association of International Education Administrators. Among itsmembers are Presidents of regionally and nationally accredited universities,Presidents and Administrators of recognized higher education organizations;such as the American Council on Education (ACE), California University FCE(CUFCE), World Education Service, Inc (WES) and Educational CredentialEvaluators, Inc; from the National Association of Credential Evaluation Services(NACES). The U.S. Department of Education is also a member. Please click the above heading. NAFSA – Association of International Educators. This is a very prestigious organization of international educators. CUFCE is a 8 year member of NAFSA >Key in: "California University F C E." NAFSA is registered with the Northwest Commission on Colleges and Universities (NWCCU). EAIE – European Association for International Education. This is the most prestigious higher education organization in Europe. WORLDWIDE CLASSROOM – Worldwide.Edu. It is a consortium for International Education and Multicultural Studies. To verify, please click: CUFCE. You may also type worldwide.edu 52053 into the search bar of Google and Yahoo. ICAE – The International Center for Academic Evaluation is the leading non-profit association of international academic credential evaluation services. 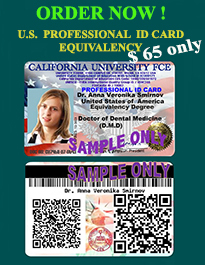 California University FCE is a member. The Better Business Bureau (BBB) is the most prestigious Consumer Rights’ Advocate and the highest private consumer protection agency in the United States of America. 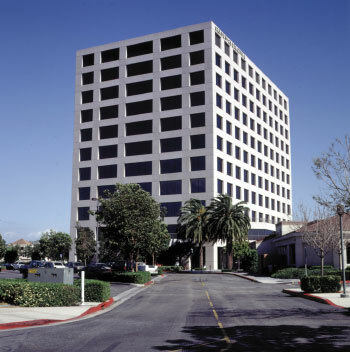 California University FCE is a BBB accredited institution with an exemplary A+ rating. Why BBB Accreditation? BBB Accreditation insures that an educational institution or business establishment is properly licensedas well as operating within compliance of State Education and Consumer Affairs Authorities. Additionally, BBB accreditation insures consumers of the business reliability as well as willingness to satisfy the consumers.